As a business leader, you’re expected to make a presentation from time to time. This is where Microsoft PowerPoint comes in handy. However, if your PowerPoint presentation is lame, your message will suffer because of it. Here are five tips to help you make a dynamic PowerPoint presentation. You're human, and your support should be too. Speak to a support team member on the phone now! SACRAMENTO May 18, 2016 -- Symmetry Managed Services has been selected for the 2016 Best of Sacramento Award in the Computer Support and Services category by the Sacramento Award Program. 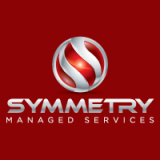 Learn more about what Symmetry Managed Services can do for your business. Copyright Symmetry Managed Services. All Rights Reserved.